The world is moving at an ever-increasing pace these days. But when you spend most of the day at a desk then that means you’re not actually moving with it! Luckily, this fast-paced world now has some exciting new tools in the form of fitness trackers to help you keep pace. And while the first few generations of trackers were extremely sporty and downright masculine, that’s no longer the case. The market has evolved and now there are many fitness watches for women that are more comfortable, stylish and functional. Tracking fitness isn’t just for professional athletes anymore. With many trackers starting around $40, these little electronic motivators are accessible and might just be the spark to igniting a fitter, healthier you. There are many kinds of fitness trackers and while many track the usual -steps, distance, calories burned- some will be better than others depending on your needs. If you’re an avid cyclist or swimmer for example, not every tracker will meet your needs. The following is our guide to 13 fitness trackers, specifically designed for women, available on the market today. Polar is a household name when it comes to fitness trackers, and the A360 is our #1 pick for best fitness tracker for women. Polar puts the ‘fun’ in functional fitness tracker with the A360. 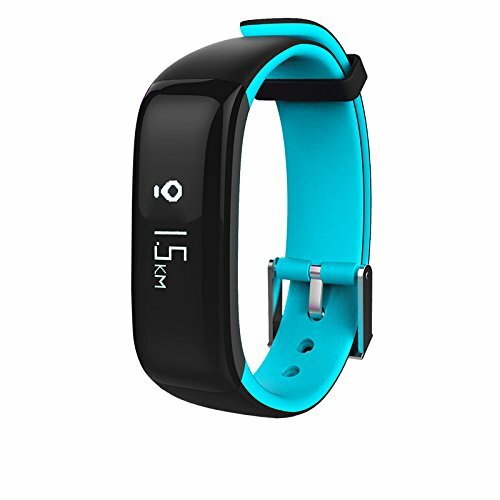 This sturdy and durable tracker provides 24/7 tracking of workouts, steps, distance, calories burned and even sleep quality. If you don’t fuss over a fitness tracker’s profile or “sleekness” and instead care more about the information displayed, then the A360 is a great choice for you. With a long and a wider-than-most screen, the A360 has more room to display all of your activity information. The screen is beautiful and bright! 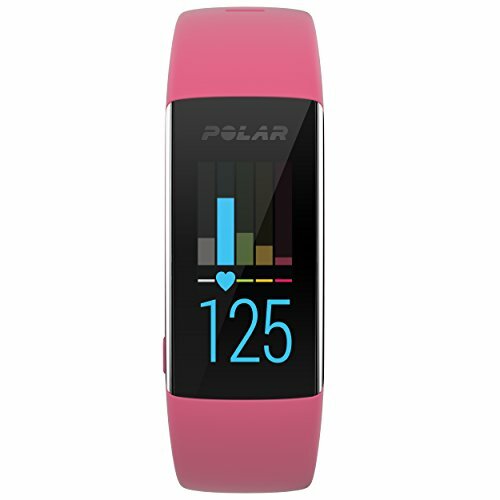 Polar chose to make the A360 a color display and gives this tracker more life and character than many of the others on the market. Polar’s interface is aesthetically pleasing but maybe more importantly, it is intuitive in its design. The A360 can be used with Polar Flow, Polar’s fitness tracking app. This allows you to follow your training and activity in your “training diary” and can even give you guidance for reaching your target goals. Interested in tracking your swimming activity? This unit is a top choice of waterproof watches for women. 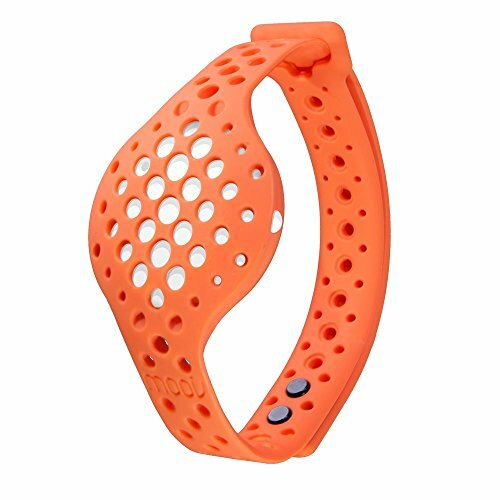 The sleek, silicone band holds well throughout your workout. It even has it’s own swim training program that can be adjusted to your ability. 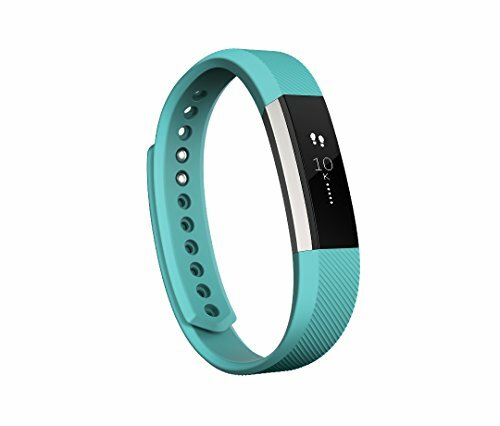 The Fitbit Alta is a great option if you want to track your activity but you don’t want to flash it off to everyone you come across. The Alta has a great minimalist design that is sleek and functional. With colors ranging from Teal to Silver and Plum, the Alta offers a deeper color palette that gives the tracker character without screaming for attention. This tracker is a great choice if you’re looking to avoid the bulky or flashy side of the fitness tracker spectrum. Water resistant, the Alta is sweat, rain, as well as splash proof. Feel free to wear this one all the time, even in the shower! It’s hard to imagine that such a small package could deliver all of your fitness tracking needs, but the Alta can definitely deliver. Besides the all-day activity recording, the Alta also offers call, text and calendar alerts on its tap display. 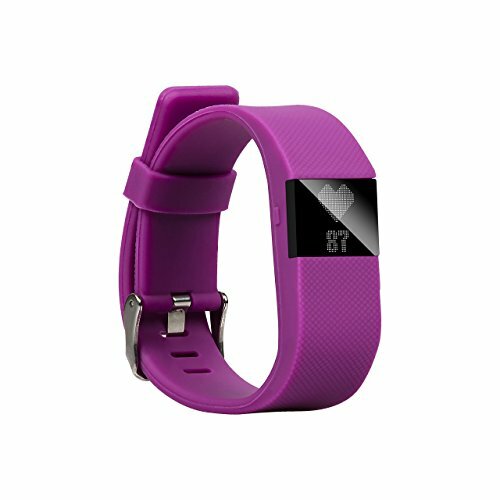 For about $100 the Fitbit Alta is the sleek, slender and amongst the top choices of sports watches for women. For those of you wanting to take discrete fitness tracker to a whole new level, the Amazfit Moonbeam is the perfect choice for you. Resembling a watch, the Amazfit Moonbeam is elegant and classy while being deceptively functional. With it you can track your steps, distance traveled, running and calories burned. Aptly named, the Moonbeam will also track how long and how well you sleep. Standing far apart from the crowd, the actual tracking piece is a small, zirconium oxide ceramic plate that comes in either black or white. This little core sits between a gold-plated metal frame that then attaches to a leather band. Graceful and fashionable! But the Moonbeam doesn’t end its elegance there. No, the Moonbeam has the added ability of being worn as a pendant. With the Amazfit Infinity Necklace accessory, the Moonbeam can be worn as an incredibly chic necklace that will compliment any outfit. We often forget that there are a lot of steps and calories burned in a good night spent dancing. The Moonbeam’s ability to complement even the most elegant of dresses lets you keep track of any activity that might take place outside of the gym. Not only is the ETTG SW25 a mouthful, it’s also a handful. A handful of gadgets that is! That’s because the SW25 isn’t your average fitness tracker. The SW25 is considered more of a smart watch for women with the added ability to track fitness. Some of the supported features are Bluetooth dialer/call, SMS/IM message notifications, pedometer, sleep monitor and an anti-lost function. The SW25 will even play audio and video from your phone. If you’re looking to get much more out of a fitness monitor, then the SW25 is the way to go. It has a big, bright and responsive screen that resembles the Apple Watch, but for a fraction of the cost. At roughly $75, the SW25 will allow you to put your phone away, but not out of reach in case you need to take a call or respond to messages. Consider the SW25 the perfect option for those of us who can’t quite leave the office entirely. Whether responding to calls, messages and even reading email, the SW25 allows you to handle any business without sacrificing your fitness time. 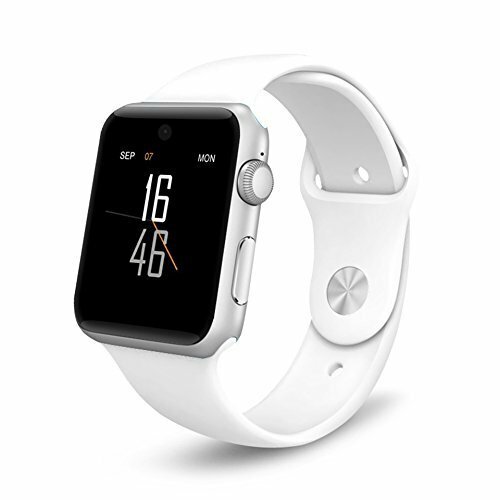 Though it resembles the Apple Watch, the SW25 is also compatible with Android 4.3 and above as well as IOS 7 and above. Mobile notifications keep you aware of important events. View notifications from email, SMS, Caller ID, calendar and your favorite apps on your wrist. Bluetooth 4.0 technology with automatic sync makes it easy to pair the watch with your enable device. It can Support IOS 7 and above or Android 4.3 and above smartphone. Support Bluetooth Dialer, Call Reminder, Bluetooth Call, Bluetooth SMS/ IM Message Notifier Anti-lost, NFC, Remote Capture, Health Management: Pedometer, Sleep Monitor, Sedentary Reminder, Calendar, Audio and Video Player. In terms of aesthetics, the Garmin Vivofit doesn’t really stand out – and that’s a good thing! 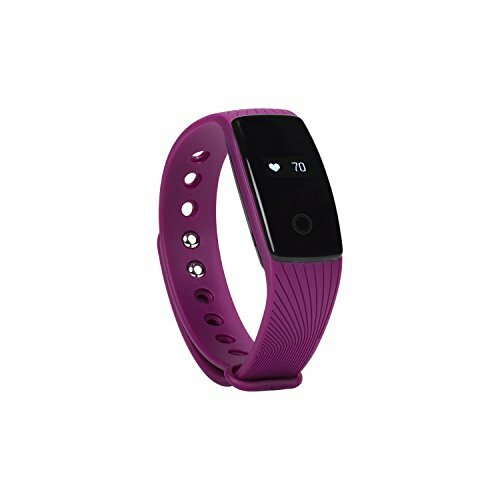 Another in the series of small, band-like fitness trackers, the Vivofit does stand far apart from the rest with regards to battery life. Though there are many great fitness trackers with fast charging times, the Vivofit sets itself apart in that it requires no charging. Instead of a rechargeable battery, the Vivofit utilizes watch batteries that are said to be good for an entire year! For those of us that might need extra encouragement, the Vivofit is equipped with the Move Bar. The Move Bar will light after an hour of inactivity and will continue to grow for each 15 minutes of inactivity thereafter. By connecting with Garmin Connect, the Vivofit will learn from your current activity levels and adapt and adjust your goals for the next day accordingly. You can think of the Vivofit as a small personal trainer on your wrist, nudging you to a healthier lifestyle. While it may seem like a small package, the Vivofit is bulky with features. Garmin never fails to deliver quality and at roughly $60, the Vivofit is no exception in the ladies sportswatch category. Must Read – Complete review of the newest Garmin Vivofit. At about $40, the Blueweigh Bluetooth 4.0 fitness tracker is your no-frills, value option. The Blueweigh 4.0 is slender and sleek with perhaps one of the smallest screens on the market. The display is OLED however, so fitness information is still accessible and easy to read. Charging can be completed in about 20 minutes and is said to last up to 10 days of use and 15 days of standby. The Blueweigh 4.0 comes in a variety of colorful and vibrant wristbands. This durable silicone wristband is another option for the water resistant category but not the submersible. Despite sounding as if you were saying “blue wave”, swimming is unfortunately a no-go for the Blueweigh 4.0. If you’re looking for a no-frills womens fitness tracker at an affordable price, then the Blueweigh Bluetooth 4.0 is hard to beat. The Homestec S4 stands apart from other fitness trackers in that it offers additional stats beyond fitness tracking. Not only does the S4 track your workouts, steps, distance, calories burned, and quality of sleep, but it also measures blood pressure, heart rate, and oxygen saturation levels. While not meant for medical use, the blood pressure monitor is a handy reference point for those that may need to keep a closer eye on it not just during a workout, but throughout the day. Unfortunately the S4 does not have an interchangeable wristband like other fitness trackers. So if committing to one color is tough for you, the S4 might not be the tracker for you. That being said, it is a waterproof fitness tracker so would be a top choice for swimmers. At roughly $65, the Homestec S4 is a great value for anyone concerned with monitoring their fitness beyond just physical activity. With sms alerts, sedentary reminder, and Facebook and Twitter message alerts as additional features, the S4 is a strong all-in-one option. The iFit Vue is yet another sleek fitness tracker with a minimalist design and an OLED touch screen. And at first glance, the Vue may seem like just another run of the mill smartwatch for women but it has it’s uniqueness. It tracks your steps, distance, calories burned, sleep, and gives you a “fitness score”. 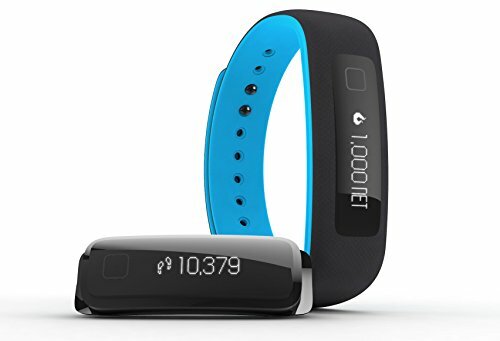 But where the iFit Vue really stands apart from other fitness trackers is with it’s calorie intake tracker. With a few quick button presses to the touch screen, you are able to add calories to your day in increments of 50. This seemingly small, and easy to use function makes for big waves for those of us keeping close track of our calorie intake. The Vue will help log any miscellaneous or extra calories and offers yet another tool to reach a healthier you. They say losing weight is 25% gym and 75% diet after all! At around $70, the iFit Vue is the perfect choice for anyone really trying to reign in not only their calorie expenditure but keeping track of the calorie intake as well. 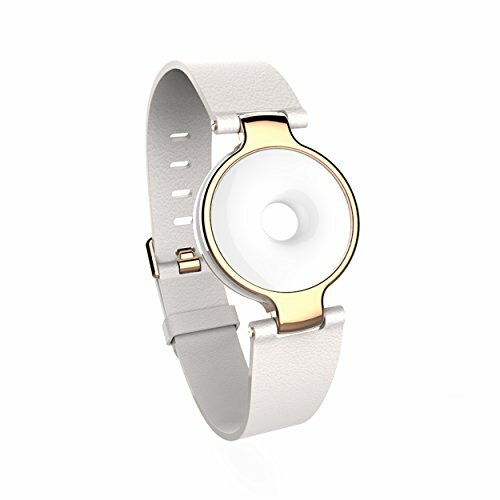 What if you really need a fitness tracker that also has a heart rate monitor and you want it to be minimalist but functional? What if you also needed that tracker to be affordable? If this sounds like your situation then the Blueweigh 4.0 HR meets your needs! Not only does the 4.0 monitor all the essentials such as steps, distance, and calories burned but it also offers some extras such as an inactivity reminder, vibrating alarms, and a feature that helps find your phone. The 4.0 has a low energy consuming OLED display that gives the tracker an active time of about a week and a standby time of over 2 weeks! 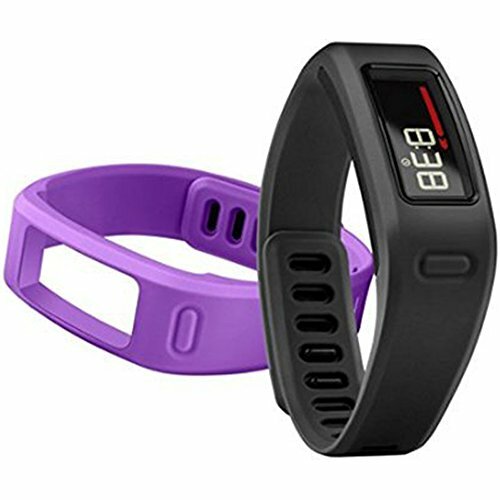 The 4.0 HR offers the same chic, functional, and intuitive design of the other womens fitness trackers on the market for about half the price. This feature-packed fitness tracker and its 1-year guarantee is the right choice for anyone who wants all the features of a $175 tracker but for $75 instead. The Moov Now is in a category of its own and offers quite a few extras that no other fitness tracker for women on the market does. Consider the Moov Now less of a fitness tracker and more of a personal trainer on your arm. The Moov Now’s Real Time Audio Coach tracks your activities and will alert you of any goals within reach. With a voice that encourages and pushes you, the Moov Now ensures that every workout is an efficient workout. Whether you want results in running, swimming, cycling, cardio, or boxing, the Moov Now has you completely covered with free guided programs for each. This is the solid choice for those of us that want to get to the gym and create results! The Moov Now is waterproof and an ideal swimming tracker. Using it’s 3D motion capture, the Now has automatic stroke style recognition and will track your lap time, strokes, and logs any personal bests. If what you need is less of a reminder to be active and instead want a tracker to intensify your workouts and get the most from your fitness time, then consider the Moov Now. The Misfit Ray is one of the few fitness trackers that foregoes a display for an even sleeker look than the rest. 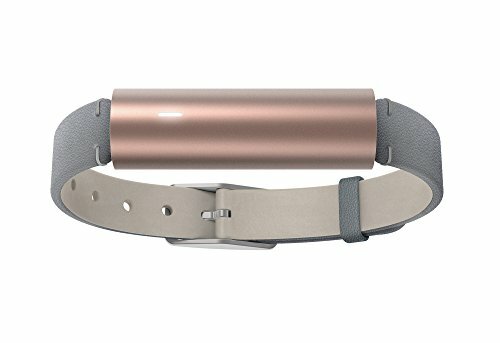 The anodized aluminum cylinder that houses the tracker comes in colors ranging from rose gold to forest green so this is another great option if you don’t want your fitness tracker to detract from your outfit. The lack of a display on the Ray actually makes it seem like a simple, but futuristic bracelet. Not only is the aluminum casing fashionable and trendy, but it allows the Ray to be water resistant up to 50 meters. So this is another great option for a womens swimming watch. As far as tracking goes, the Ray tracks the basics such as steps, distance, calories burned, and sleep quality and also offers some extras such as a handy “find my phone” feature. Better still, the Ray uses batteries that last up to 6 months so you never have to worry about keeping it charged. But that also means one less excuse to keep you from bailing on fitness time! Besides fitness tracking, the Ray can also sync to your phone and provide notifications for calls, texts, and alarms. Another excuse gone! For about $60, the Misfit Ray is a solid, well-rounded choice if you’re in the market for a sleek tracker that compliments your outfit. If you’re looking for a great value fitness tracker that doesn’t sacrifice functionality in the name of affordability, then check out the Kassica Smart Wristband. It’s large and OLED screen brightens at the flick of a wrist and helps add to its long standby time. Nearly a full inch, the screen is large enough to comfortably display any relative information even with arms fully stretched. With large, readable text, the Kassica allows you to keep track of your stats, without interrupting your flow. Although the wristband comes in a variety of colors, the secondary color is on the underside of the strap. What this translates to is basically the same black fitness tracker with small hints of the secondary color. So in this regard the Kassica may not be the most versatile option but then again, the Kassica isn’t pretending to be something it’s not. The Kassica is a fitness tracker through and through. Besides tracking steps, distance, and calories burned, the Kassica is also one of the few fitness trackers with a built in heart rate and blood pressure monitor. 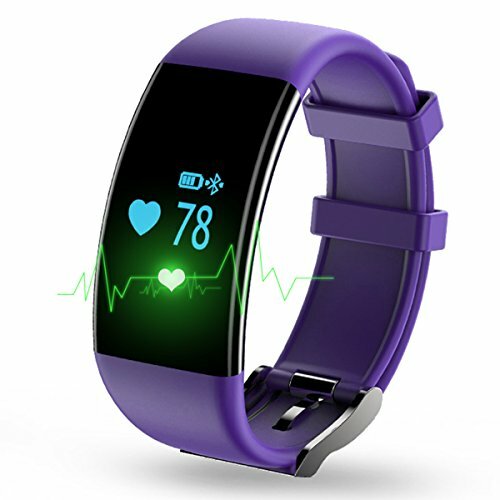 * Healthy Fitness Tracker: Blood pressure measurement(Double Green Ligjt Sensor): Monitor your physical condition in real time. Helping you know the health index of blood pressure and heart rate. 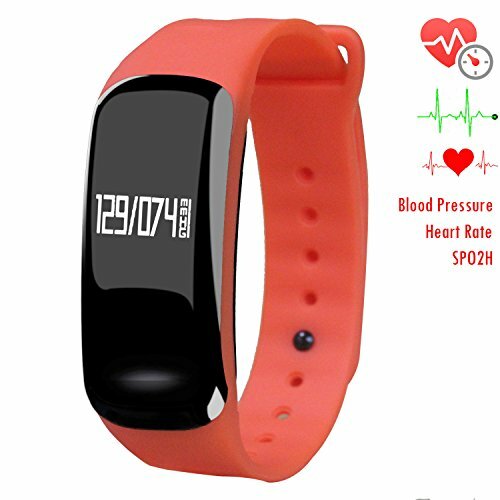 * Main Functions: Heart Rate Monitor, Blood Pressure, Vibration reminder, Incoming calls reminder with number display, Task Alert, Lift the wrist to bright screen, Steps counter, Time, Pedometer, Calorie burning monitor, Walking Distance Tracker, Sport time, Sleeping monitor etc..
For the fitness enthusiast on a strict budget, the Longess Fitness Tracker is an attractive option that offers all the functionality of some of the more ‘high-end trackers. A large and bright screen displays your tracked steps, distance, calories burned as well as the battery life. The Longess even offers a heart rate monitor to track your heart rate or utilize it to improve and intensify your workouts. Available in 4 different color bands, the Longess is also another option in the water resistant category. The advanced green light feature of the Longess will even automatically detect your heart rate when exercising and that means one less hassle to activate manually. You can even receive push notifications for phone calls, emails, sms and other messaging apps. If you’re constantly missing important calls or messages from the office, the ~$40 price tag is reason alone to snag the Longess Fitness Tracker. Connect to your phone with bluetooth4.0, compatible with Android 4.3 or higher, IOS 7.0 or higher. Sensitive touch screen shows time, heart rate, walking steps and distance, calories burnt, battery capacity. There are daily, weekly, monthly and annual summary of your activity, all these show on the APPs, tracks your activity apparently.